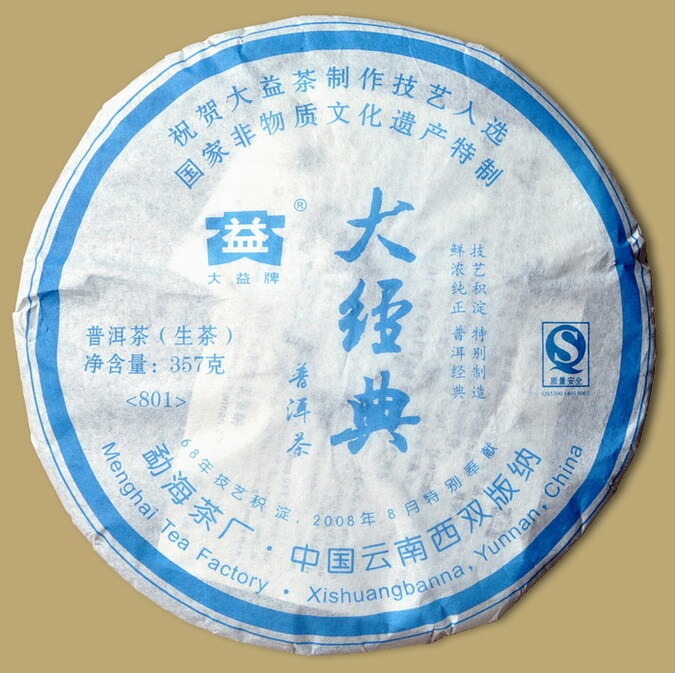 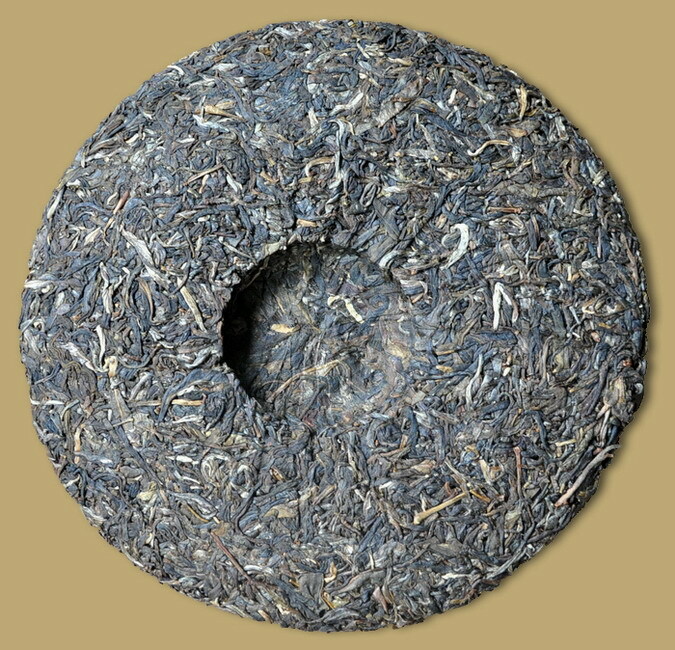 Big Classic Pu-erh Cake was produced by Menghai Tea Factory to commemorate the selection of Dayi tea production techniques as a national cultural heritage, using traditional techniques and production formula, sixty-eight years of accumulated craft has resulted in the classic quality of Dayi Pu-erh tea. 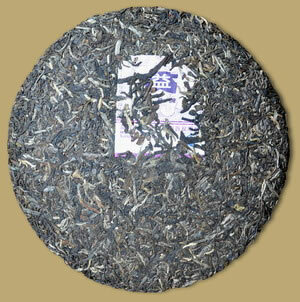 The tea is named "Big Classic" because it represents the factory's many years of accumulated tea producing art. 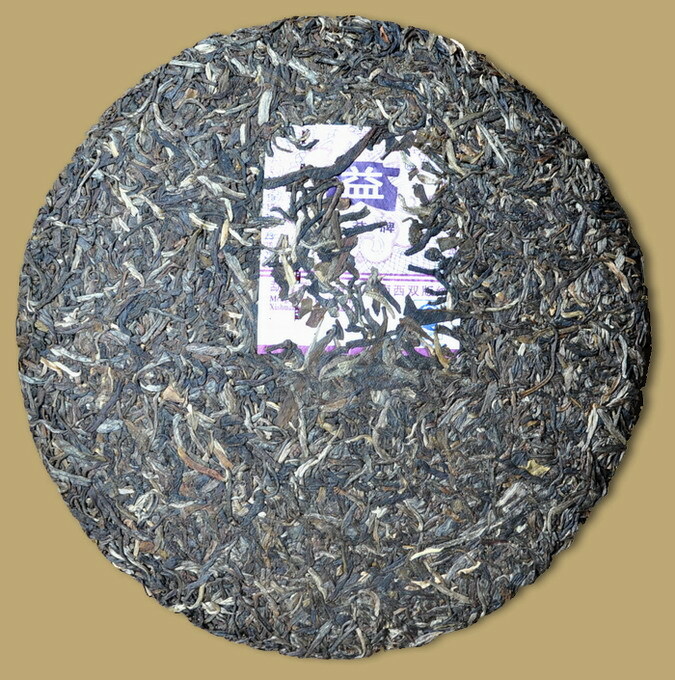 This 2008 vintage raw pu-erh brews up full bodied with smooth and rich flavor, drink it today or lay it down to enjoy a great tea in the years to come.